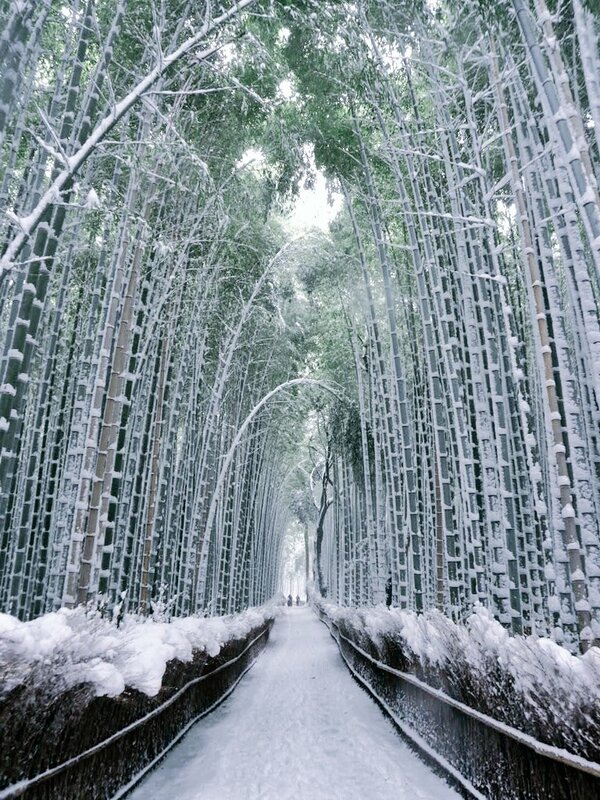 According to locals, this much snow only falls once every two years in Kyoto. With so many unique and historic monuments, Kyoto has one of the world’s largest collections of UNESCO World Heritage Sites, making it one of the most fascinating and beautiful places to visit in all of Japan. 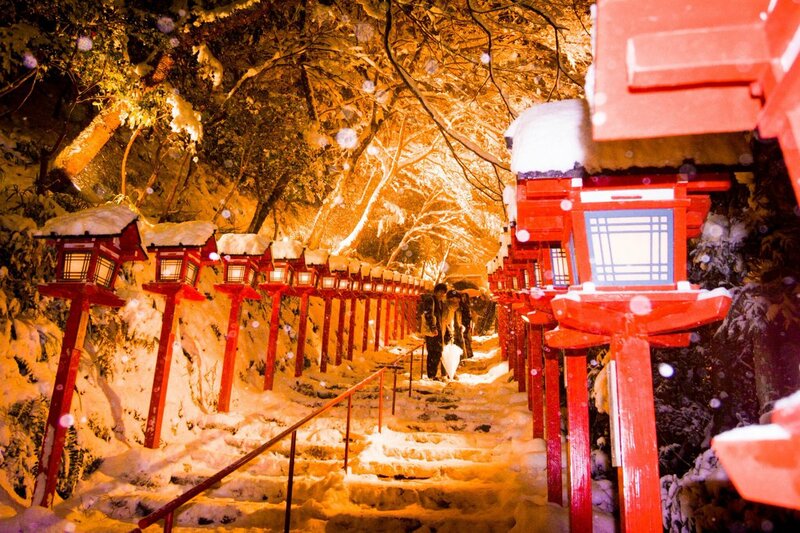 While the ancient city has an alluring, atmospheric beauty at any time of the year, there’s one particular time when the temples and shrines here become even more exquisite, and that’s when the area is covered in a white sheet of soft powder snow. 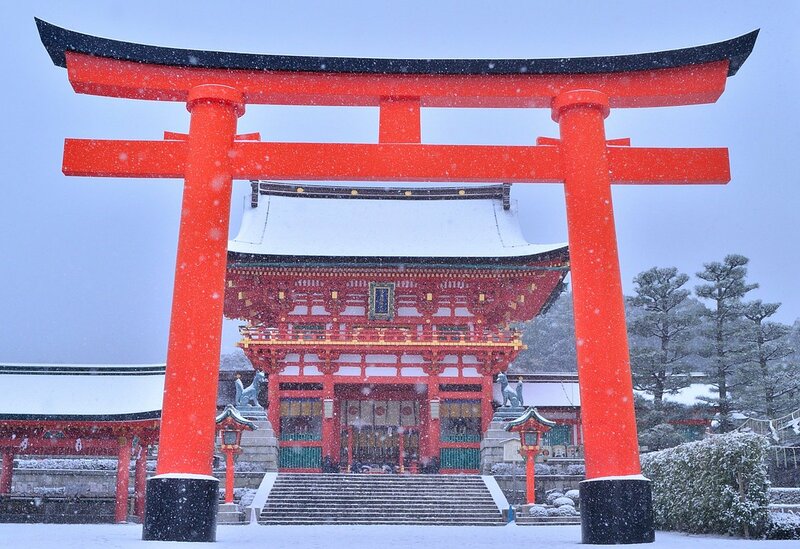 This weekend, Kyoto received its coldest winter days yet, with heavy snowfall hitting the city in what locals say is a rare event that only occurs only once every two years. Despite the intense cold, photographers braved the snow to capture some of the area’s most iconic sites at their most beautiful, creating images that makes us feel like we’ve stepped back in time to the feudal era. Let’s take a look below at some of the gorgeous scenes from the wintry weekend. 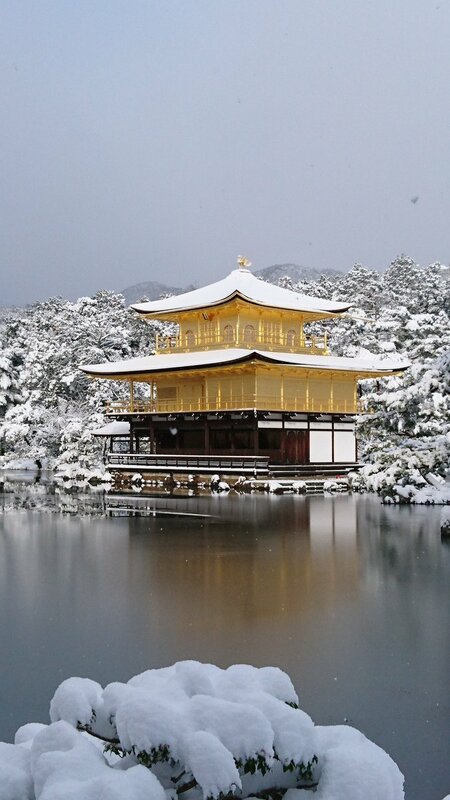 The famous Golden Pavilion, Kinkakuji, drew a large number of crowds who came to gaze at the glistening beauty of ice crystals contrasted against a shade of brilliant gold. 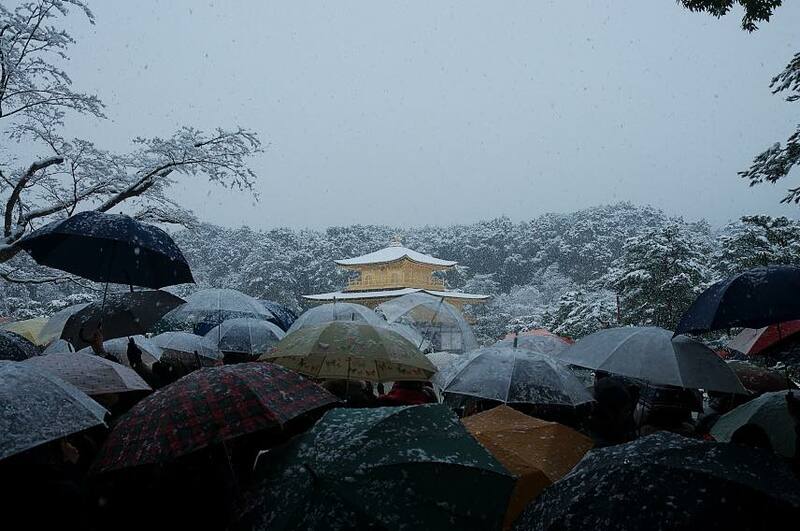 ▼ Tourists and locals alike clamoured to catch a glimpse of Kinkakuji in the snow. ▼ Another iconic spot to draw crowds on the weekend was Kiyomizu-dera. 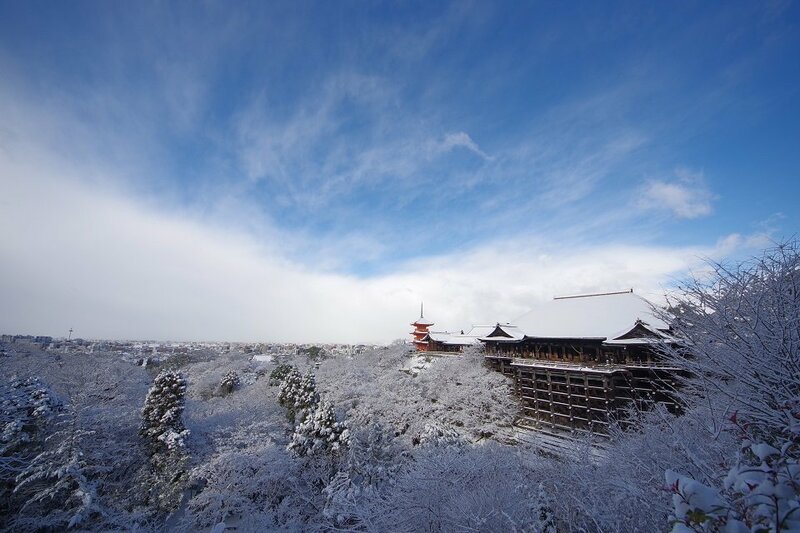 The view of the snow-covered pagoda was one of the many sights that could be enjoyed in the well-known Higashiyama district. 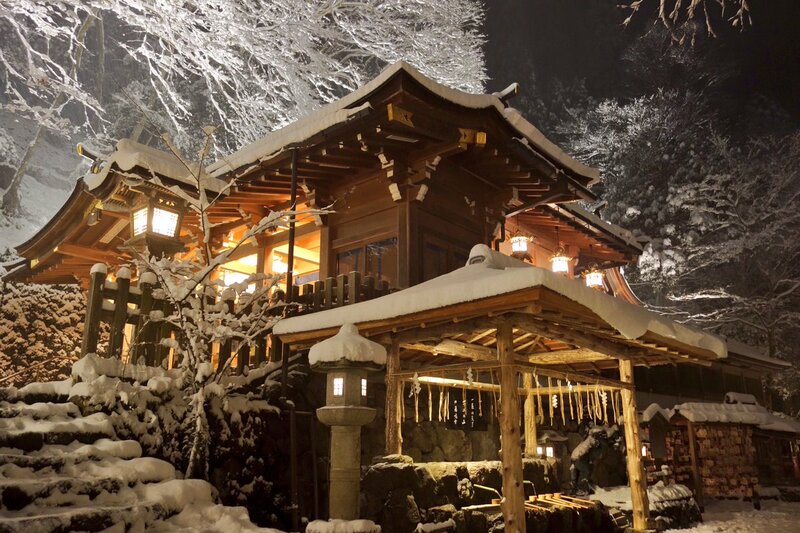 …while this photographer stepped out in a blizzard to capture the beauty of Pontocho, a narrow street lined with secluded restaurants, in the snow. Kifune Jinja held a special free light-up event until 8:00 p.m. so visitors could enjoy the unique atmosphere on the grounds of their Shinto shrine in the evening. Fushimi Inari Shrine, famous for its thousands of vermillion torii gates, was another site that enthralled visitors. 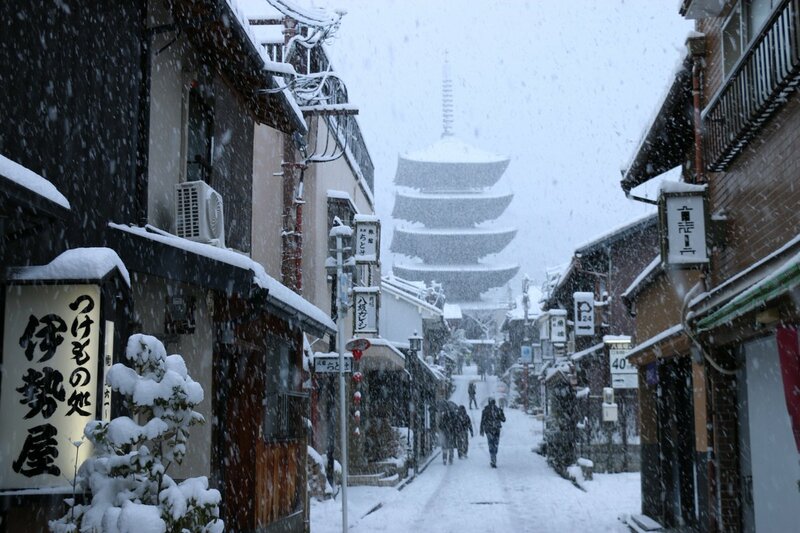 It really doesn’t matter when you visit Kyoto, it is one the most beautiful cities in Japan, but you have to admit that a white layer of snow gives it something extra….